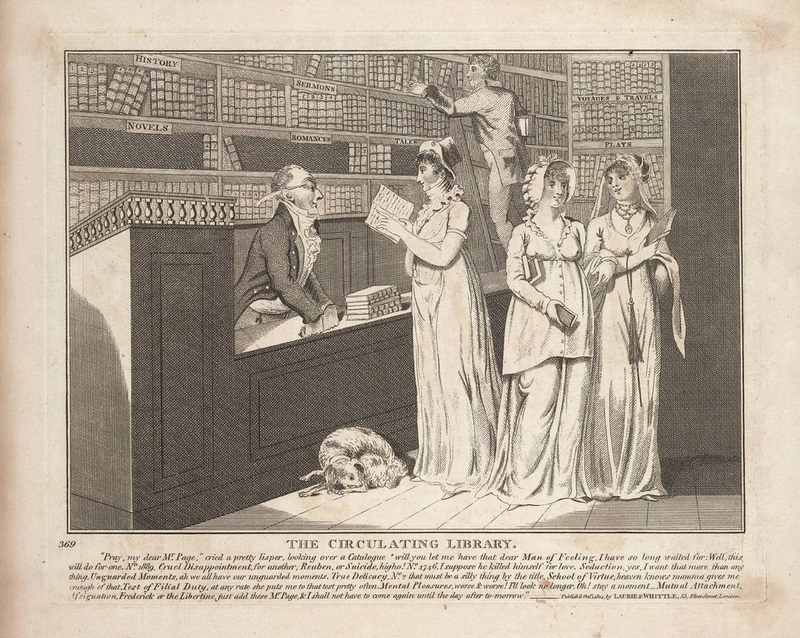 Circulating libraries in the 18th and 19th century were associated with leisure, and were found in cities and towns with a population of 2,000 and upward. 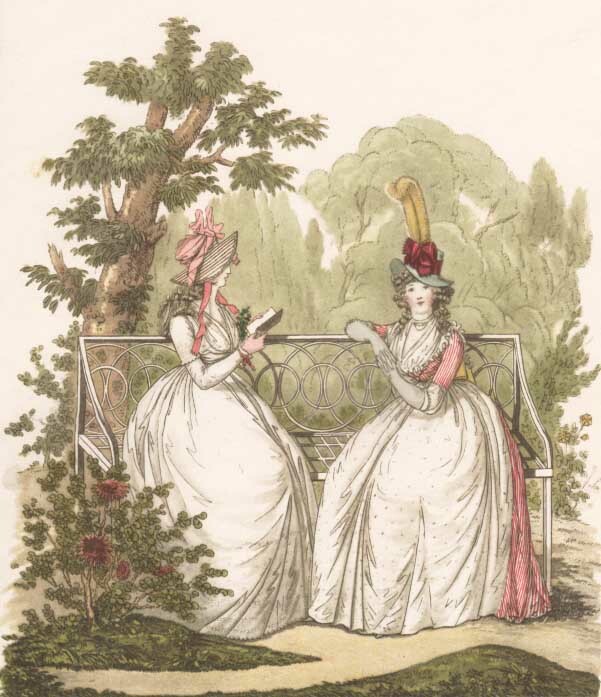 They were as much of an attraction in wealthy resorts, where people came to relax and look after their health, as in cities and small towns, like Basingstoke, where Jane Austen subscribed to Mrs. Martin’s circulating library. Circulating libraries made books accessible to many more people at an affordable price. For two guineas a year, a patron could check out two volumes. 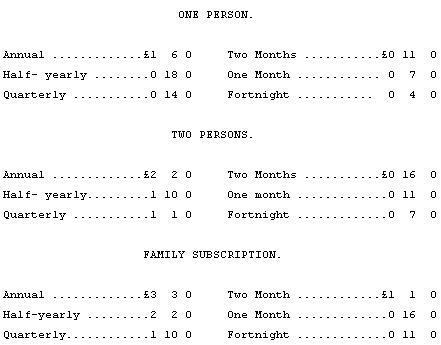 Which meant that for the price of one book, a patron could read up to 26 volumes per year. 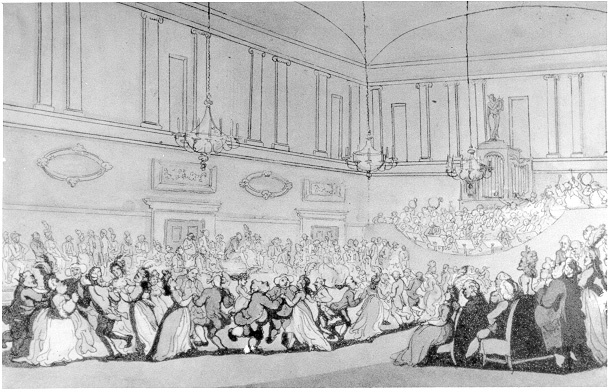 The leisurely classes had plenty of time for reading, late 18th c.
The practice of borrowing books was not a new concept in the Regency era. Records from the 17th century show that people were borrowing books from booksellers. As early as 1735, Samuel Fancourt advertised a circulating library in Salisbury for his religious books and pamphlets. 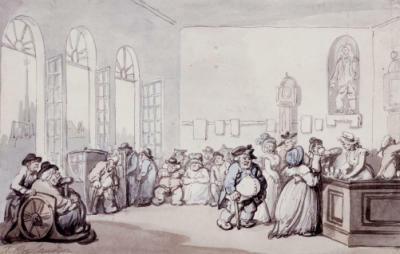 Circulating libraries attracted many patrons, even those who did not necessarily come to borrow or book or read, for they were also places for fashionable people to “hang out” and meet others. 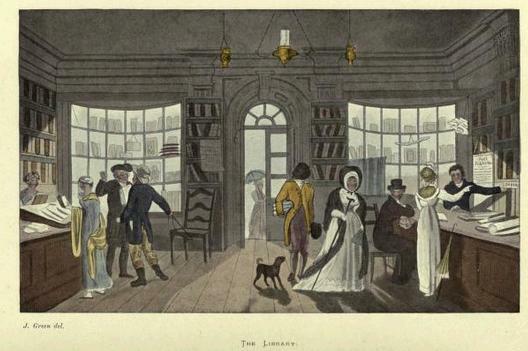 Jane Austen well knew the attractions of libraries at sea side resorts. Mrs. Whitby’s Circulating Library operated in Sanditon, and Lydia visited one in Brighton. 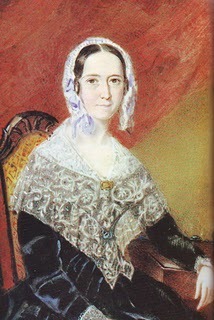 In her letters to Cassandra, Jane frequently mentioned circulating libraries, in particular visiting one in Southampton. MESSRS. WRIGHT AND SON’S ROYAL COLONADE LIBRARY, MUSIC SALOON, AND READING ROOMS. By the end of the 18th century, Scarborough, a resortt located in the county of North Yorkshire, boasted several circulating libraries. The town’s population had risen to 7,067 by 1811, and one can imagine that, with the many leisurely hours available to tourists and visitors, these libraries managed a booming business. A Short Grammar of The English Language. In Two Parts By John Hornsey. Schoolmaster, Scarborough. THE publick are much indebted to Mr Hornsey for this able and excellent compendium of English grammar. We acknowledge that we perused it with singular satisfaction; and are well persuaded that a more useful introduction to the English language cannot be placed in the hands of our youth. 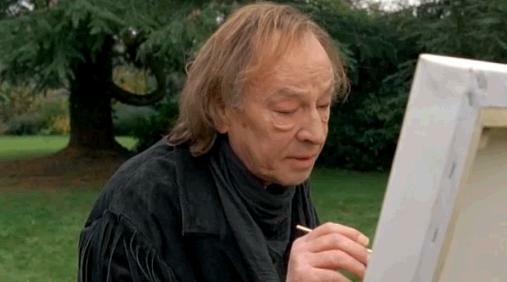 That this work should reach a second edition, did not excite our wonder; may it pass through many succeeding ones!- The Nichols, John.Gentleman’s Magazine, Vol 86, 1799, p 1144. In Counter Culture Blues, the church's peaceful Sunday sermon is shattered by the sound of gun shots on the estate next door. Counter Culture Blues, the latest Inspector Lewis mystery on PBS Masterpiece Mystery!, treats the viewer to three murders – a young boy, a rocker, and a music professor. This episode of Inspector Lewis kicks off to the third season and does not disappoint. Half the fun of mysteries set in England is witnessing the audaciousness of the characters and the entertaining display of British wit. Both are offered in abundance in this episode about aging rockers. 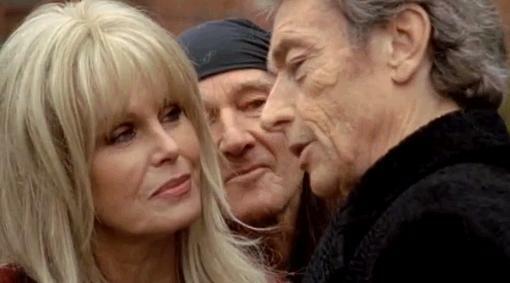 Richie (David Hayman) looks on as Franco (Anthony Higgins) sees Esme (Joanna Lumley) for the first time in 35 years. The murders coincide with the reappearance of Esme Ford, the front singer of a once hugely popular 70’s rock band, Midnight Addiction. Esme was thought to have killed herself 35 years ago, but much to the shocked surprise of Ritchie Maguire, the band’s leather-faced leader, she walks back into his life, hoping to ressurrect the band and duplicate their past glory. It was Esme, the “tart with the heart”, who had been the “enchantment who held the band together.” While Richie Maguire had recently attempted a solo CD, whose master had mysteriously been wiped clean, the members of the band were living richly off the proceeds of their past glory. Just when Inspector Lewis thinks it is safe to sit down to a nice meal, duty calls. We first meet Inspector Lewis (Kevin Whately) at home and about to sit down to a microwave dinner, when he and Sergeant Hathaway (Laurence Fox) are called to investigate the illegal hunting of game near a church during Sunday service. The culprit is Richie, whose estate is nearby. Inspector Lewis knows the band’s history intimately, for in his youth he had been a huge fan. His surprise upon encountering Esme is as great as Richie’s, and it conjures up memories of a poster of Esme sans shirt and bra that he had purchased as a boy and hung in his room. 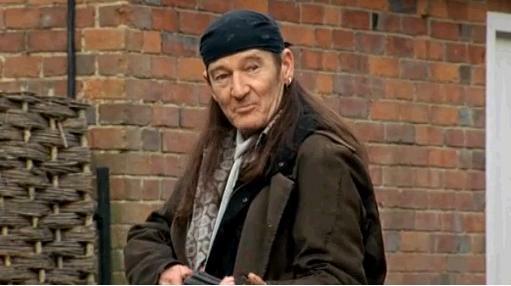 The rockers have not aged well, and the actors who play Richie (David Hayman), Bone (Zig Byfield), Mack (Hilton McRae), and Franco (Anthony Higgins) are as craggy as Charlie Watts, Keith Richards, Mick Jagger, and Ron Wood of the Rolling Stones. I won’t give too much of the plot away, since you can still see this episode online. This intelligent and often witty script was written by Guy Andre, who adapted the screenplay from a story by Nick Deare. 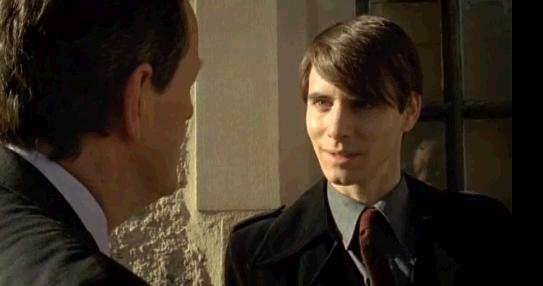 The series itself is inspired by Colin Dexter’s’ Inspector Morse novels and is greatly enhanced by an excellent cast. 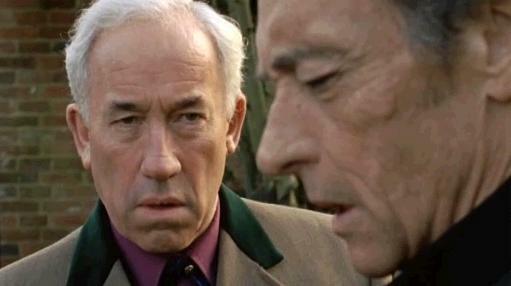 Simon Callow portrays Vernon Oxe, the openly gay manager who claims that the band was his creation. 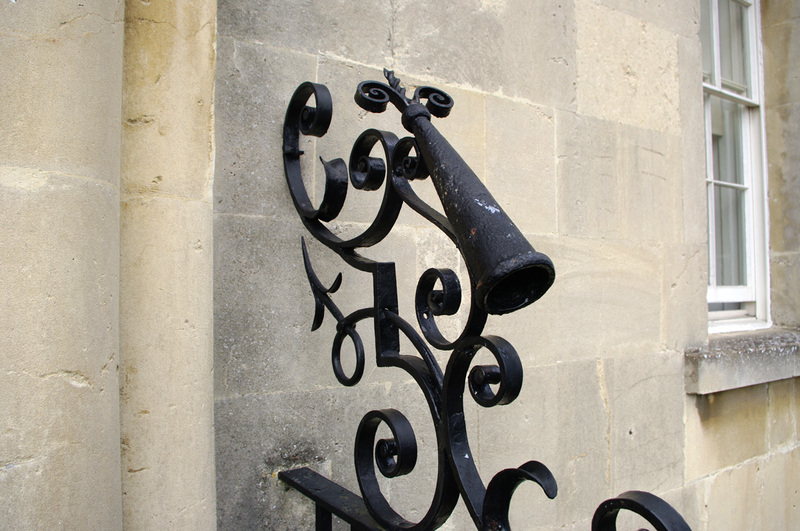 Oxe’s sudden appearance in Oxford coincides with that of Esme Ford. 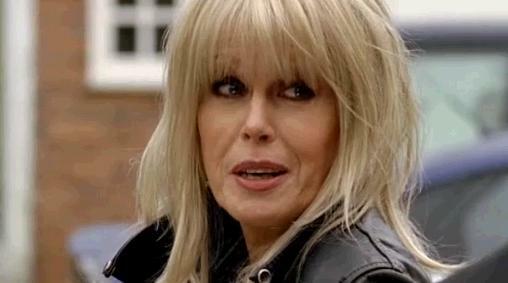 Joanna Lumley as Esme is superb, but then I am biased in her favor. I will always adore Joanna for her turn as Patsy Stone, the boozing, smoking, non-eating, free-loving character of Absolutely Fabulous. I could not help but laugh at Esme’s brazen reason for sleeping with two men on the same night – to assure them that she had not forgotten either of them. My only beef with Joanna as Esme was her obvious wig, which was is not Ms Lumley’s fault. For the viewer’s sake, could they not have found a better hair piece? The plot of Counter Culture Blues is complicated, but still manages to hold the viewer’s interest. Sub plots abound. While they did not throw me off my scent (I figured out who the murderer was fairly early on), they added a richness and complexity to the world that Inspector Lewis and Sergeant Hathaway inhabit. 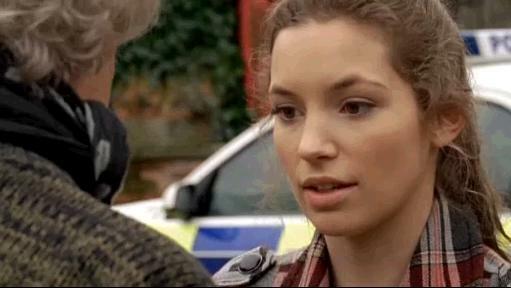 Perdita Weeks plays Kitten, a girl with a secret and from whom a secret is being kept. 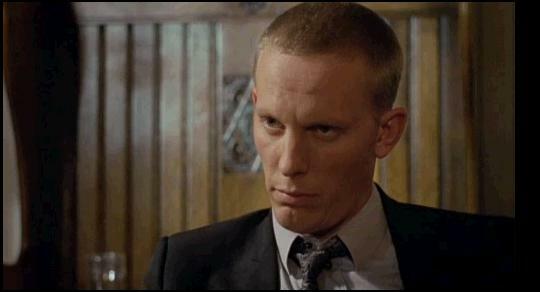 Richie’s daughter, Kitten (Perdita Weeks), has mysterious dealings with a nasty young man named Peter, which gives James Hathaway (Laurence Fox) something productive to do. Hathaway is no slouch, and he is on to Peter’s sordid schemes. His confrontation of the young man are among my favorite scenes in this production. 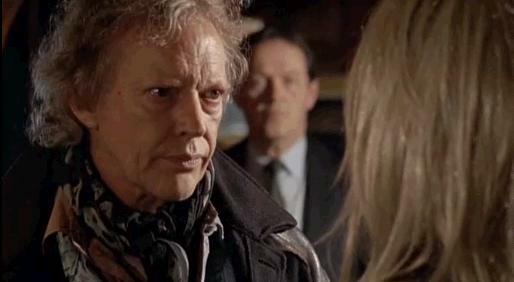 The mysterious death of Jason, the boy who was murdered at the gates of Richie’s mansion, and of two other charactes keep Inspector Lewis on his toes. 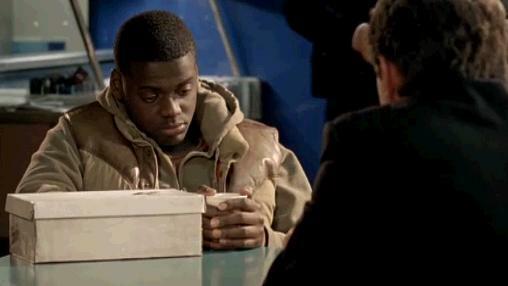 Jason's friend, Declan (Daniel Kaluuya) bravely helps Inspector Lewis solve why the boy was murdered. 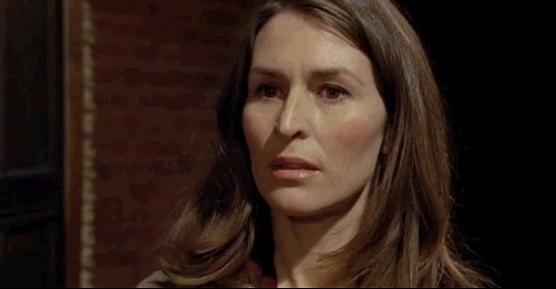 Caroline, Helen Baxendale, takes a pragmatic view on marriage. As usual the reader is treated to scenes in and around Oxford, always a delight, and Rebecca Front once againmakes her appearance as Chief Superintendent Jean Innocent, telling Lewis that “If my life is disagreeable, yours is going to be hell. “ Neither Lewis nor Hathaway can do their jobs without the sharp eyed skills of Drl Laura Hobson, capably played by Clare Holman. It would be lovely if she and Lewis got together, but that is my mothering gene working in overdrive. 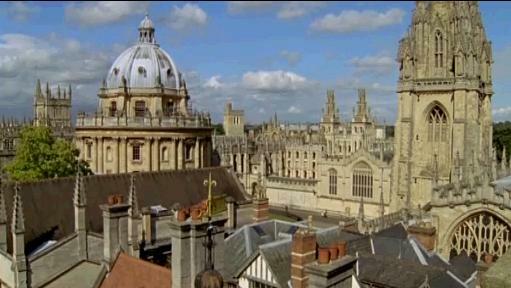 The scenes in and around Oxford are part of the background. Rebecca Front as Chief Superintendent Innocent is both exasperated with Inspector Lewis and in awe of his skills. Lewis and Hathaway depend on Dr. Hobson's (Clare Holman) findings to do their work. Needless to say, it is going to be a great September of Sundays with Inspector Lewis at PBS! The new annotated edition of Pride and Prejudice by Patricia Meyer Spacks, a professor of English, Emerita, at the University of Virginia, is so beautiful a book, so lush to the touch and rich with beautiful color images and scholarly insights, that I cannot wait to spend the weekend reading it. 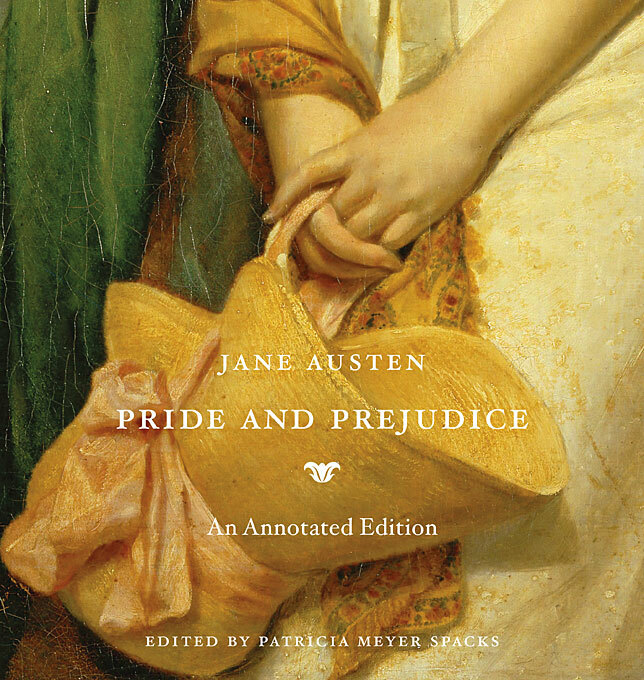 Pride and Prejudice: An Annotated Edition is substantially different from the 2007 Annotated Pride and Prejudice by David Shapard, a trade paperback. At $35, this hard cover book will make the perfect gift for the Jane Austen lover in your life. Click here to read more about it. Look for my review soon. 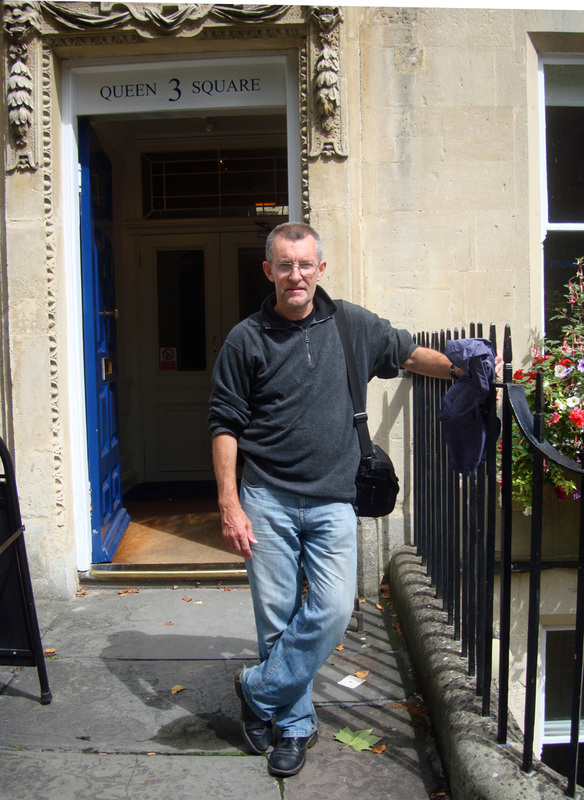 Inquiring Readers, Tony Grant, who lives in London, teaches, and acts as occasional tour guide, has been contributing articles to Jane Austen Today for several months. 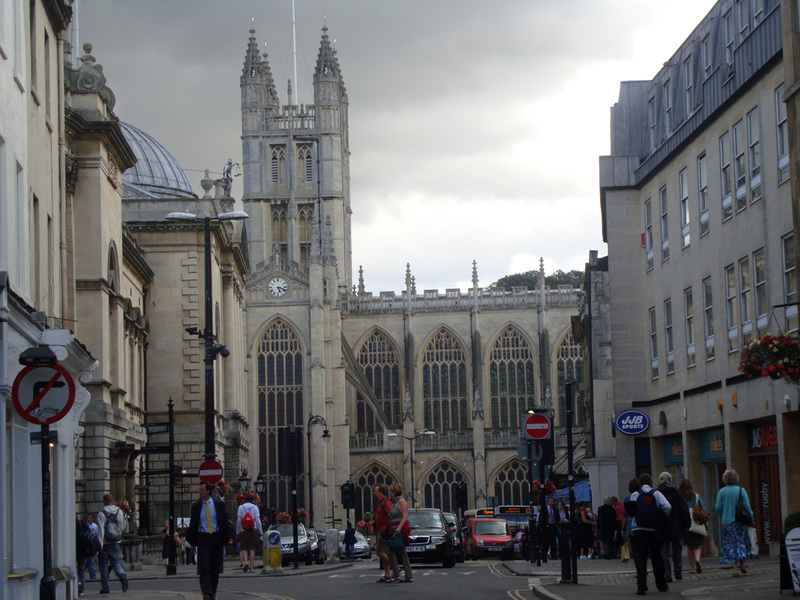 Recently, Tony and his family traveled to Bath and the West Country. This is one of many posts he has written about his journey. 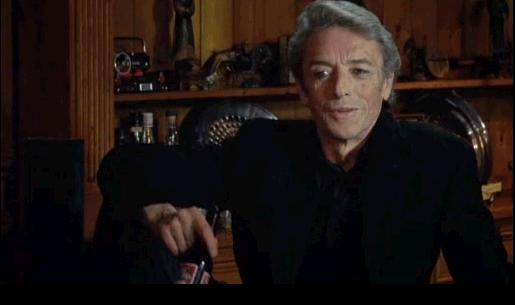 Tony also has his own blog, London Calling. 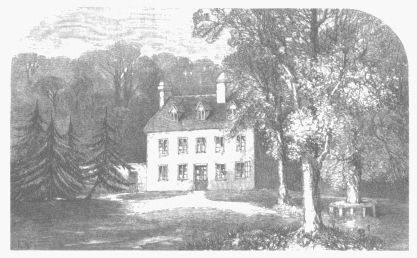 On Wednesday 6th May 1801 Jane wrote to Cassandra, from a house positioned on a hill half way up a road called, The Paragon, in Bath. It was her uncle and aunt’s, the Leigh Perrots, home. Her aunt was her mother’s sister. Jane and her mother and father had just arrived, just moved in and were getting settled into their rooms. Jane had arrived in Bath after a journey of about 50 miles from Steventon, her home. She sounds excited and thrilled by the new experience for instance she has ,” my own room.” But perhaps she was trying to put a brave face on it, be positive and put the negatives to the back of her mind. Jane had spent all her life in Steventon a quiet country village near Basingstoke in Hampshire. She knew the families who lived in the great houses and many were her friends. She knew the villagers of Steventon very well. It was the source of her imagination and she had developed her own intimate writing habits there. Her world , in a sense was turned upside down and she was being wrenched from this intimate, close world that she was comfortable in, to that of a bustling town, but not just any town. Bath was the centre of Georgian ,”FUN.” Here people came for the medicinal benefits of the waters, dancing, parading in the streets in their finest clothes, drinking tea, and taking rides and walks out into the nearby countryside. It was a place to rest, to be seen and to meet new people. Many families brought their unmarried daughters here to find eligible spouses. 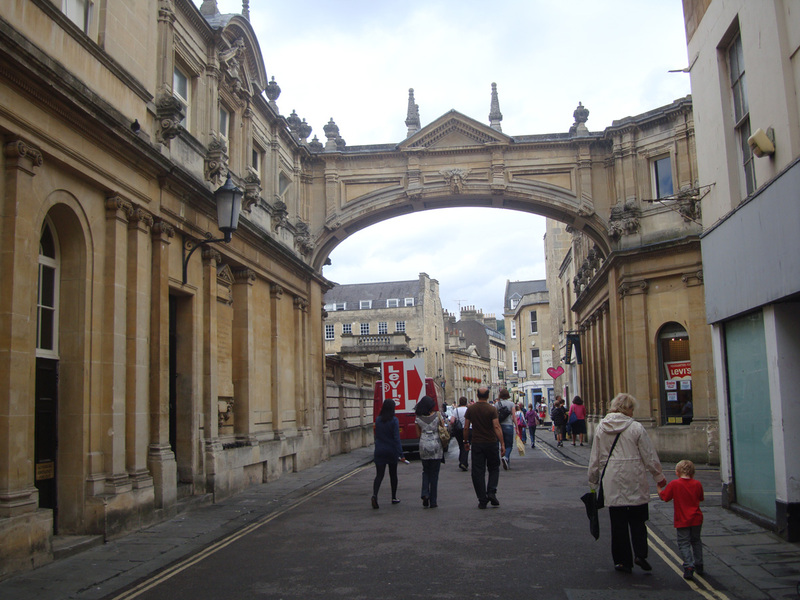 Bath was a magnet for the wealthy and comfortable middle classes who came and went with the season. It was a fluctuating population. Friendships could be brief. It was a hot house for relationships. Whether The Reverend George Austen had it in mind to find suitors for his two unmarried daughters, as part of his plan, is not certain. Jane however was definitely out of her comfort zone. She was a very astute judge of characters and she would not like much of the ostentatious show of Bath. People who went to Bath for the season behaved differently. Strangers were thrown together in a mix of fun and gaiety. Moral codes were loosened. You get a very strong sense of this in the description of Catherine Morelands first experiences of Bath in Northanger Abbey. To get to Bath from Steventon over the fifty mile journey, Jane took, she passed through many picturesque and beautiful villages and towns. Those places are still there today. Overton, Andover, Weyhill, Ludgershall, Eveleigh, where the Austens stopped to take tea and rest, Upavon, crossing the River Avon at this point, Conock and Devizes where they probably rested again before the final stretch to Bath. Devizes is a bustling town today, traffic and shoppers, many small businesses, churches and chapels and still many magnificent Georgian buildings. Take away the cars, and dress the people differently and Devizes would still be very familiar to Jane. It still has very much of its Georgian character but it is a modern 21st century town too.Like modern day England, Devizes is a layer cake of history. There are bits from every era and it has and does thrive in all of them. 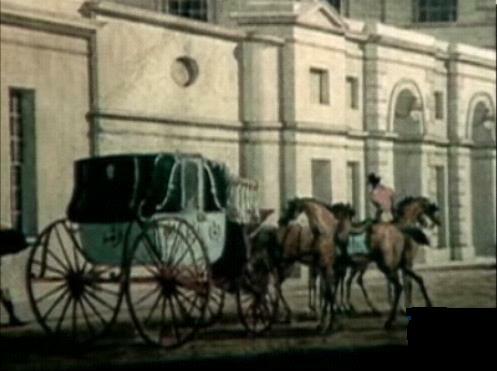 When I went to Bath this time I came in from a slightly different direction to Janes journey there in 1801. I came the south east, travelling from Stonehenge in Wiltshire. 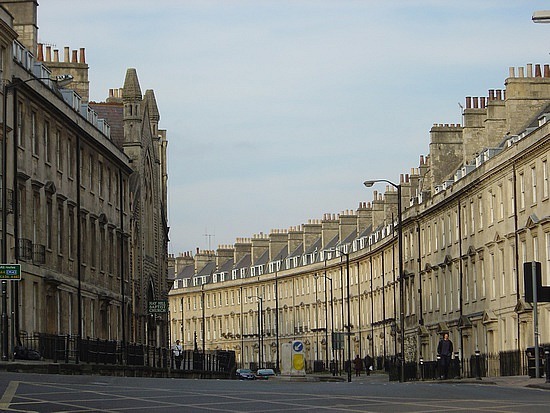 This road comes from high up in the hills to the south of Bath and the first sight of the city is from a steep, tree lined, Beckford Road which reaches Bath stretching along next to Sydney Gardens. 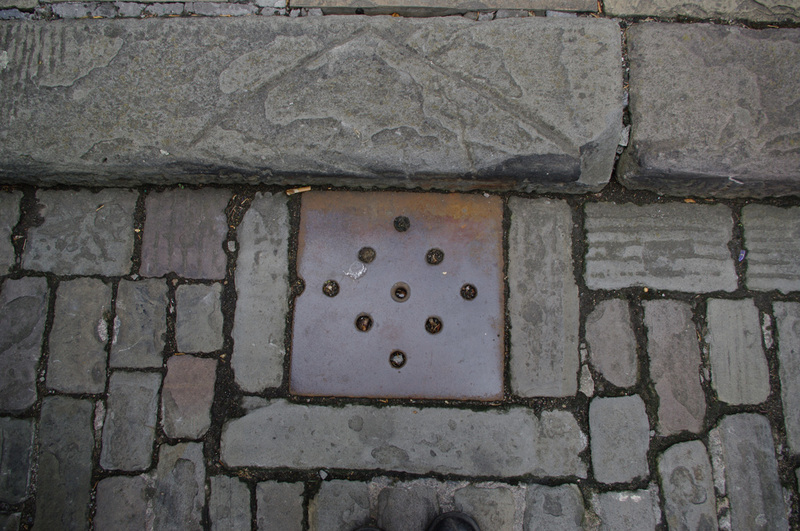 It was a great pleasure and very exciting to come across, almost immediately on reaching Bath, number 4 Sydney Place, which was one of the houses Jane and her family rented. 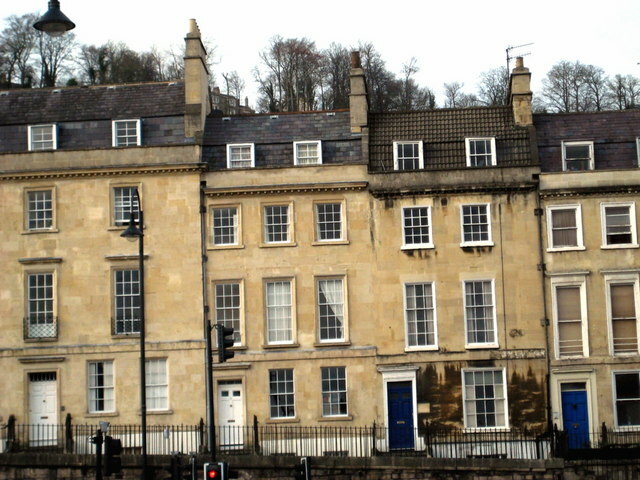 Jane entered Bath by way of the London Road which sweeps in from the east and curves across the top of the bend in the River Avon which borders the southern part of the City of Bath.The London Road leads straight to The Paragon, the road in which her aunt and uncle, The Leigh Perrots, lived and where Jane and her mother and father were to live until they found their own residence. 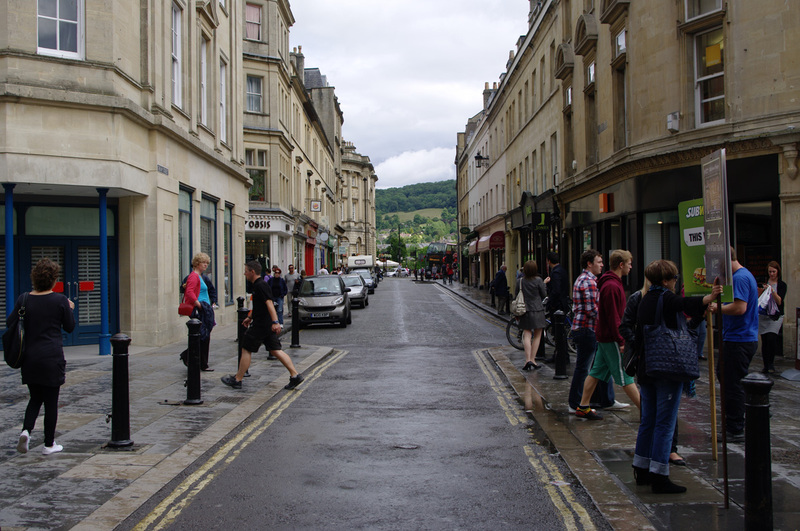 Bath has not expanded in modern times much south of the river partly because of the steep hills there. So there is an excited tone in Janes first letter from The Paragon. The excitement doesn’t last. Her aunt and uncle being residents in Bath, they at least know people to introduce Jane to. Unlike Catherine Moreland who meets nobody and knows no one at first. But what terrible people? Or is Jane just having a bout of sour grapes? Within weeks Jane is writing to Cassandra her comments about Bath acquaintances. Mrs Chamberlayne is picked out for more effort. Jane tries to find something in common, tries to see if a new friendship can blossom. Jane uses the past tense already about the relationship with Mrs Chamberlayne and she finally concludes that she is much like other people. Nothing is going to happen here. Jane was a very guarded person, certainly didn’t suffer fools gladly, gave people a chance and discarded them for their mediocrity. Jane obviously needed something else in a relationship. Already she wasn’t in the mood for Bath. In the same letter she mentions house hunting. They have been looking at houses amongst Green Park Buildings. Green Park Buildings are situated near the river at the bottom of the town. They were obviously prone to flooding. Nowadays the river near Green Park Buildings has high banks to prevent flooding and has been canalised. One of the main car parks, where we actually parked is near there. 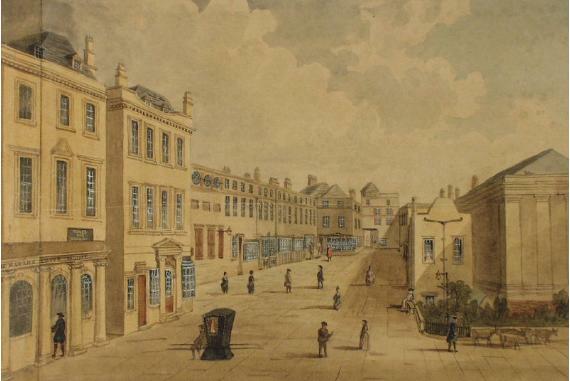 Also Bath Railway Station and The University of Bath is situated nearby these days. For all this dire and damning report the Austens did move into Green Park Buildings. It could not have been very pleasant. Perhaps they thought their stay in The Paragon was prolonged enough and anything had to be taken. 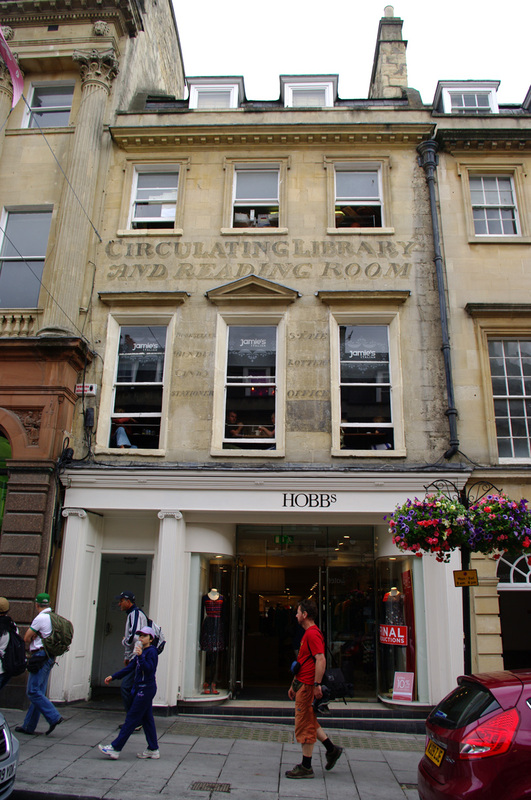 Much of Jane’s remaining letters from Bath have some discussion about finding accommodation. The contracts on these houses seem to have been short term. Maybe this was because Bath was a seasonal place. People generally came for short periods of time. If you really wanted to live there permanently you would have to buy. Perhaps the Austens could not afford to do that. It begs the question, did Mr and Mrs Austen really think through their move to Bath carefully enough? After Green Park Buildings the next set of letters come from number 25 Gay Street, just a few houses up the hill from The Jane Austen Centre. It is a dental practioners office today. 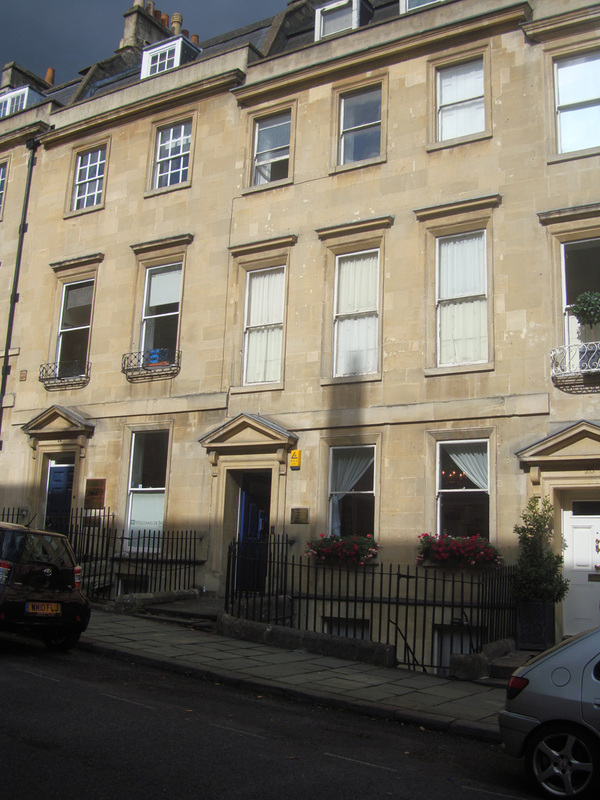 The letters from Gay Street are the last from an address in Bath. However we also know that Jane lived at number 4 Sydney Street, a new house at the time overlooking a grand house which is now the Holburn Museum and its grounds, Sydney Park. This is by far one of the more pleasant situations Jane lived in. 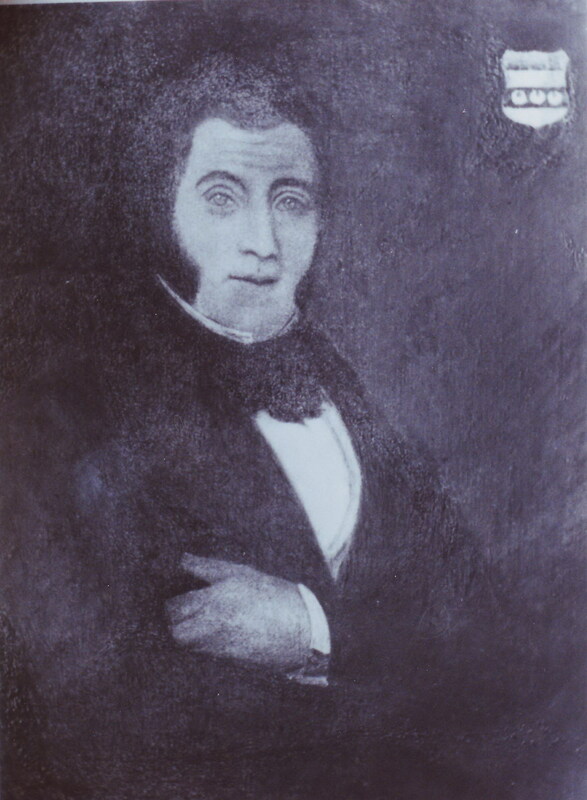 Jane’s father died in a house in Trim Street not far from Queen Square and Gay Street. So another move had had to take place. In five years Jane had lived in at least five different house all providing differing qualities of living. You can find this reflected in the two novels that concern themselves most with Bath, Persuasion and Northanger Abbey. In Persuasion Anne Elliot finds an old school friend, Mrs Smith, living in poor circumstances. Mrs Smith’s accommodation was in Westgate Buildings not far from the Pump Room. Mrs Smith’s husband had died leaving her almost penniless but because of her health the warm bath treatment was seen as a cure. Her life was certainly not one of fun and frivolity. It seems, like in any city and town today, in the 18th century, the poor and destitute and the wealthy are not far from each other. Anne Elliot seems to prefer the company of Mrs Smith rather than the fripperies that Bath had to offer. She knows the right people and could have fun if she wanted to. 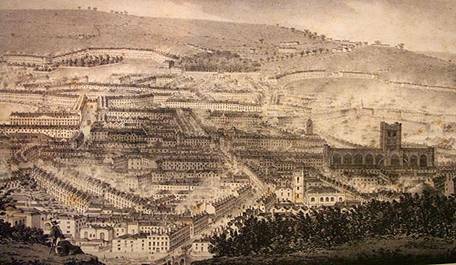 Anne Elliot can see the two sides of Bath. Jane Austen knew Bath extremely well. Throughout Persuasion and Northanger Abbey she houses her characters in real streets and in real buildings, although she does avoid giving us the number of the house in such and such a street. The real owners and occupants might not have liked the notoriety. And today they might not like the notoriety as well. Was there such a thing as litigation in the 18th century? I’m sure there was. 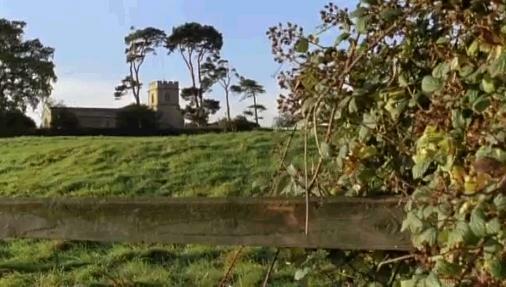 Watch a 5-minute video of Jane Austen Leaves Steventon for Bath at this link. Most of the known accounts published about George, Prince of Wales, and his profligate spending on clothes and luxury items say that his main tailor was John Weston. It is also said that under the influence of young Beau Brummel he patronized other London tailors such as Meyer, and Schweitzer and Davidson. 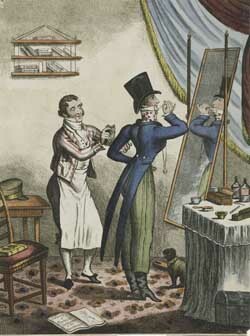 Steven Parissien, in his very interesting book ‘George IV, Inspiration of the Regency’ has a whole chapter entitled ‘Clothing & Militaria’ which lists tailors, bootmakers etc. used by the Prince. The name of the unknown man who was the Prince’s tailor for 32 years – Louis Bazalgette – shows up in none of these sources. 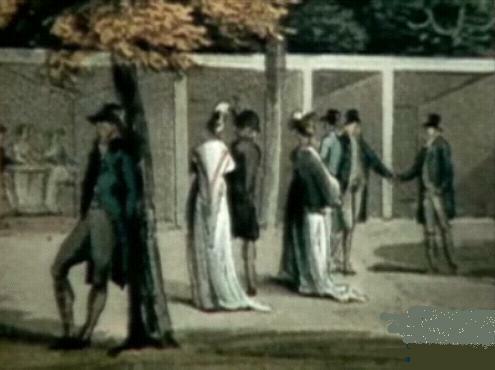 He appears to have started quietly supplying the Prince with all manner of clothes in great quantities in about 1780, and carried on making most of his clothes until at least 1795. 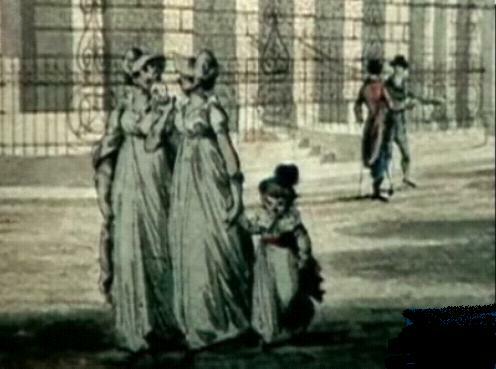 In 1794, the sixteen-year-old Brummel attracted the interest of the Prince, who under his influence began slowly to change his style of dress, so that by 1795 Bazalgette was making less of the gaudy outfits of which Prinny had been so fond. 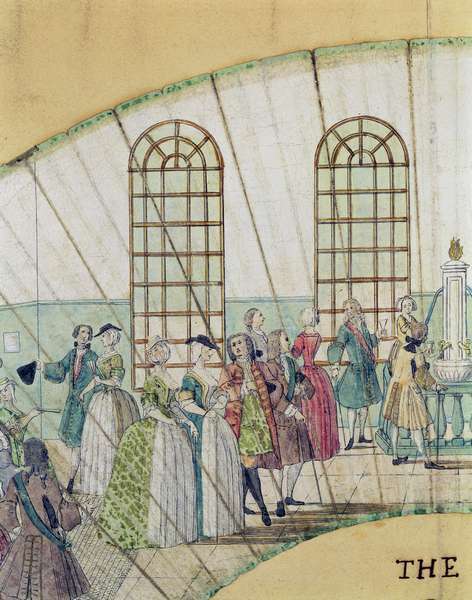 However, Louis continued to make most of the Prince’s uniforms, and the livery for his servants, until at least 1806. 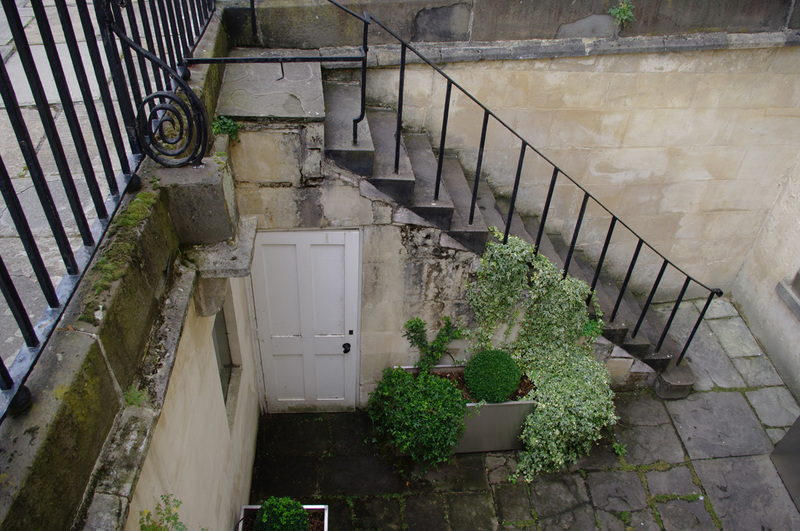 Tony Grant, who writes posts for Jane Austen Today and London Calling, stands above the “area”, the servants entrance that sits below ground and in front of town houses built during the Georgian and Regency eras. A wrough-iron fence separated the upper level from the lower basement level, which was sunk partly below the street. Windows in the work areas gave the servants a view of the people walking along the sidewalks. Wherever these town houses were built, servants and delivery people used the lower entrance. The “area” also contained a coal vault used for storage. So much coal was burned in 19th century London (in 1800 over one million London residents were burning soft coal) that “winter fogs” became common.